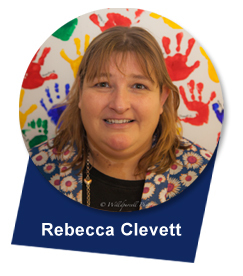 My name is Rebecca Clevett and I am the Nursery Director. I work across both Archfield House Nursery and Woodland House Nursery on variable days. I have a Bed (Hons) in Early Years Education, EYPS (Early Years Professional Status) and also a Level 3 in Nursery Management. My main role is to oversee the running and productivity of both nurseries. My mother started Archfield House Nursery in 1986. As a teenager, we lived above the nursery! I went to university in Brighton and then taught there for 10 years. After having my son, I returned to Bristol to take over the nursery. Since then, we have expanded Archfield House and set up Woodland House Nursery in Clifton. My husband Steve is in charge of maintenance across both nurseries. I am currently learning French so that I can converse more accurately on our holidays in France! My favourite part of the job is hearing the wonderful sound of laughter from all the happy children and staff! My name is Anne Scott. I am one of the Nursery Managers at Archfield House Nursery. I have worked at Archfield for nearly 20 years. I have an NNEB (Level 3 qualification) and I am also an Advanced Baby Practitioner. I am responsible for the occupancy of the nursery which is a constant juggling act! I also supervise the food provision throughout the nursery alongside our nursery chef. I work Monday, Thursday and Friday – 8-6pm. 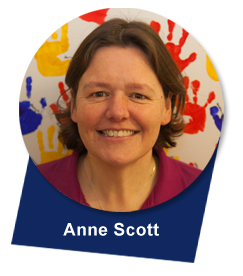 I started working at Archfield House in 1996 in the Baby Room and have worked my way up through the nursery. I became Nursery Manager as part of a job share in 2010. I have a daughter called Jessica who attended Archfield House from age of 5 months until she went to school. The favourite part of my job is escaping from the nursery office to have cuddles with the babies! 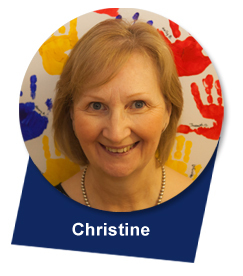 My name is Christine and I am the Office Manager for both Archfield House Nursery and Woodland House Nursery. I have worked at Archfield House since November 2005. I work Monday, Tuesday, Thursday and Friday – 8am-3pm. My main role is to calculate invoices, collect monies owed to the nursery and produce nursery statements for parents. I also work with our book keeper to keep our many supplier accounts up to date. In addition, I play an active part in the running of the busy nursery office. In the past, I have worked in the banking and foreign exchange industry in both England and Australia. The favourite part of my job is building relationships with the parents. I also love it when the children visit the office to use the photocopier or deliver messages! Miss Culverhouse is currently on Maternity Leave. 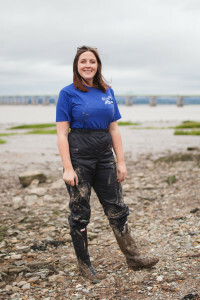 My name is Miss Culverhouse and I am the Nursery Teacher at Archfield House Nursery. I work full time. 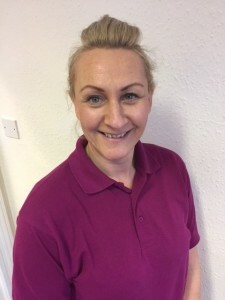 I have a NVQ Level 3 Children’s Care, Learning and Development and also a BA (Hons) Primary Teaching with Early Years Specialism. I started my career working as an unqualified nursery assistant before undertaking my Level 3. I then commenced my teacher training and taught as a Reception teacher before returning to Archfield House in September 2014. As the Nursery Teacher and Room Leader for the Wise Owls (pre school), I am responsible for the running of the room and other staff members. I ensure that we plan effectively and follow children’s interests and assess their development. I also support the children with their transition to ‘Big School.’ I am also the SENCO (Special Educational Needs Co ordinator) and a member of the Curriculum and Mathematics team. I love to travel and in my free time I enjoy going swimming and walking. My favourite part of working with children is seeing the world through their amazing imagination and ideas! My name is Cassie Holland and I am one of the Managers and the Beach School Coordinator here at Archfield. I work full time across both Archfield & Woodland House Nursery. I have a BA Hons in Early Years Education and have been working in Early Years since 2010. I started at Archfield in 2011 as a Key Person, then became Room Manager and then Deputy Manager. I went travelling to Australia and New Zealand and on my return fell in love with Beach Schools and I haven’t looked back since! Beach School is my biggest passion and my main role is ensuring that we spread the word as much as possible about this amazing learning opportunity. We are using Bristol Beach Schools to set up Beach School Sessions for other Early Years Settings and creating Parent & Toddler groups. The main role as a Manager is ensuring we are giving our children, families and staff the icing on the cake to make their nursery experience the best it possibly can be! I also work to ensure we have a high engagement with our local community. My favourite things to do outside of nursery are travelling, eating in new places and learning new cooking skills! My name is Emma Base, I am the Manager at Woodland House (our sister nursery) and one of the Managers at Archfield. I have been at Woodlands since the very beginning in 2009, it has been fan tastic seeing it grow over time! I have a Level 3 in Early Years Education and I am one of our Designated Safeguarding Leads. I generally work at Archfield 2 days a week and my main role is ensuring the high levels of wellbeing in our children, families and staff. The majority of my day is in the rooms with the children! I love setting up the environments to provide amazing learning opportunities for the children, especially the garden at Archfield. Outside of nursery I love to socialise with friends, always dancing!